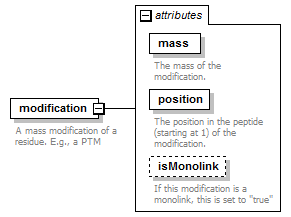 The mass of the modification. The position in the peptide (starting at 1) of the modification. If this modification is a monolink, this is set to "true"